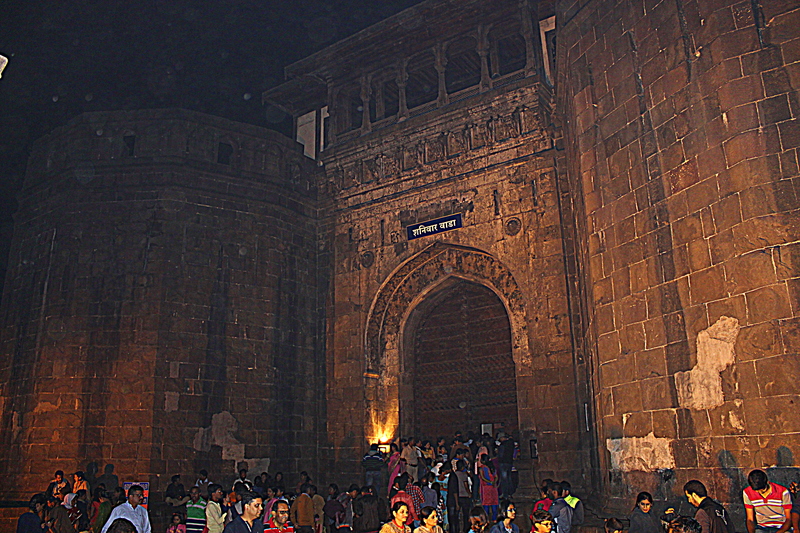 18.55 hrs – An icon of old Pune, the Shaniwarwada fort makes for a brilliant heritage stop. The legend says that with successive victories in battlefield, Peshwa ruler Bajirao I recognized the need for shifting his ‘wada’ meaning ‘residential place’ in Marathi, to Pune and built his grand residence Shaniwar Wada on the right bank of the Mutha River. 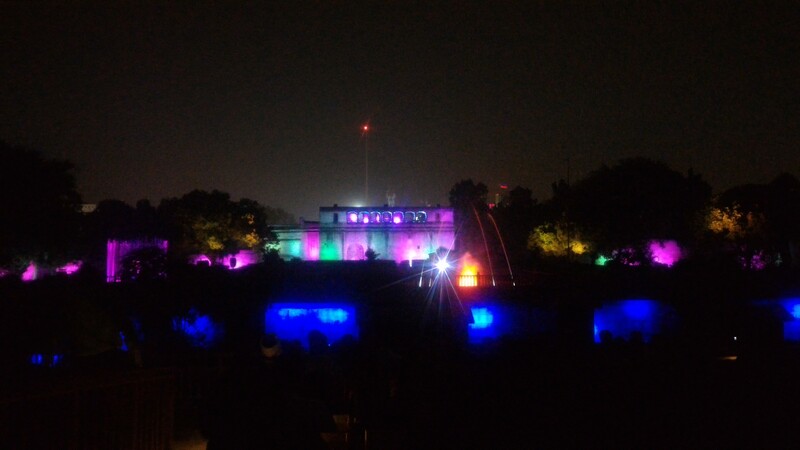 The foundation stone of Shaniwarwada was laid on Jan 10, 1730, a Saturday by Bajirao I and two years later, when it was ready, the opening ceremony was also performed on a Saturday, and hence the name of the fort Shaniwarwada, located in Shaniwarpeth of Pune. The security guard at the majestic doors with spikes jutting out which is now an entrance to the fort collected our tickets from us and allowed us in. According to the legend, this is called the Dilli Darwaza or Delhi Gate – named because it faces Delhi directionally. 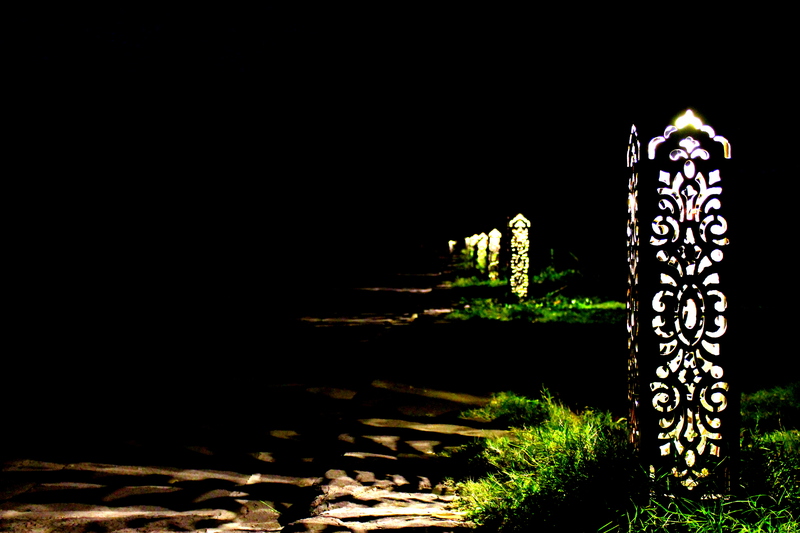 But to our surprise, there are only remains of once gigantic residential place and a symbol of Peshwa power and might. 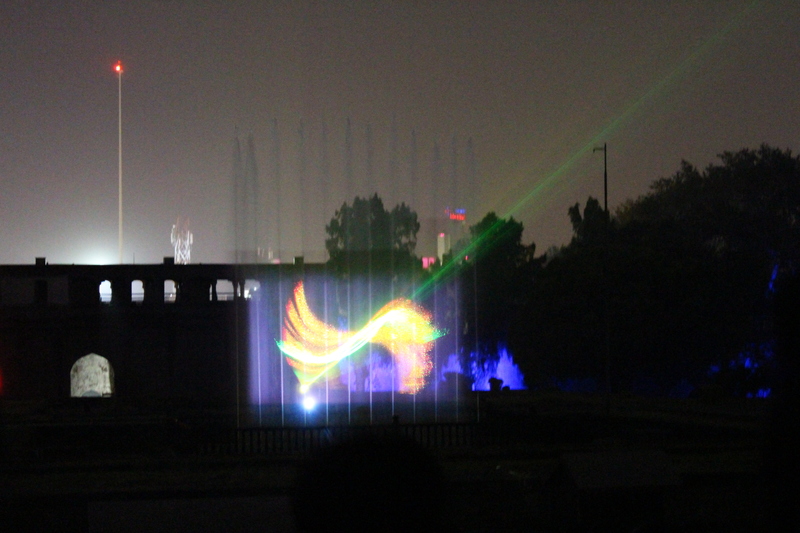 We were to see only the fortified boundary walls and walk across the burnt ruins of the palaces within its walls. The palace inside the wada was a seven storied palace made of wood, and served as the residence of the Peshwas for nearly a century till 1828, when during the time of Bajirao II, there was an unexplained massive fire, raged for seven days that gutted the entire ‘wada’ leaving behind it’s ruins now.The tourists can hear a lot of stories about the magnificence of the palace as well as the stories of betrayal that led to the eventual fall of Peshwas and it is also said that this place is haunted and post sunset, tourists are not allowed inside.